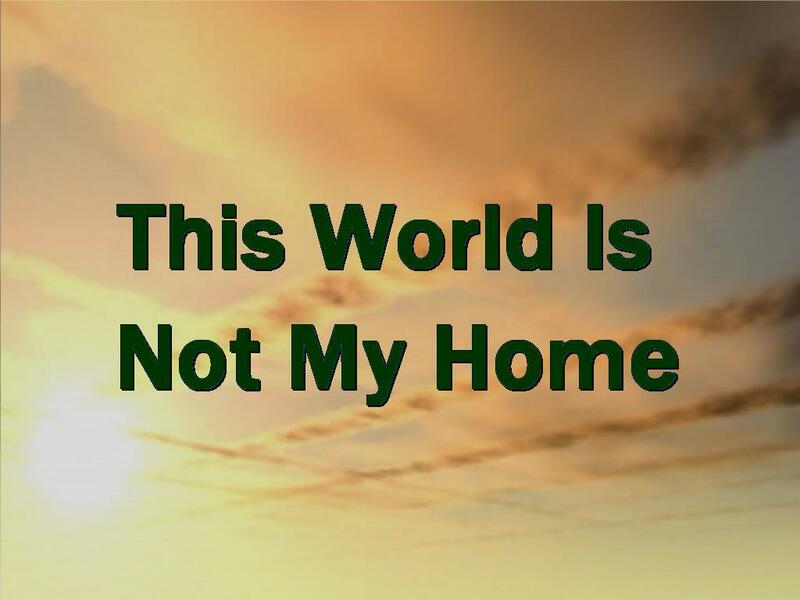 In The World, But Not of It | Joe Quatrone, Jr.
“I have given them Your Word and the world has hated them, for they are not of the world any more than I am of the world. My prayer is not that You take them out of the world but that You protect them from the evil one. They are not of the world, even as I am not of it. Sanctify them by the truth; Your Word is truth. As You sent Me into the world, I have sent them into the world. For them I sanctify myself, that they too may be truly sanctified…” (Jn. 17:14-21). Being a Christian is more than just coming to Christ. It’s about growing and becoming more like Jesus – it’s about being sanctified. One of the qualities or attributes of God is His holiness. Not only is He holy, but He desires that we would also be holy. The work of God by which He makes us holy is called sanctification. As believers, we are sanctified – set apart for God’s use. We are to be distinct from the world. First, Jesus prayed for the protection of His disciples. The disciples were in danger because the satanic world hated them. It hated them because they were not a part of it. The disciples, like Jesus, were strangers in a hostile world. They had become attached to Jesus, who was “not of the world,” and the world could not accept them. Just as the world was alienated from God and hated both the Father and the Son, so too the world hated and persecuted the disciples of Jesus. Second, Jesus prayed for the sanctification of His disciples. Just as Jesus was set apart from the world, the disciples were also set apart. God set the disciples apart, so that they would do His will, not Satan’s. Even though they were human, they did not belong to the world and did not think like the world because they were set apart from the world. In sanctifying Himself, Jesus modeled for the disciples what it meant to be both a stranger in the world and yet committed to a mission, even to the point of death. Jesus set Himself apart all the way to the Cross and we, as His disciples, also need to set ourselves apart to proclaim what He did. As believers, we are sanctified—set apart for God and changed in our living in order to honor God. Our thinking and action should be different from the worlds. We are called to a mission of not only proclaiming God’s truth, but also of living and dying for this truth in our own sanctification. Our growth in Christ must be understood as dying to sin: “I have been crucified with Christ and I no longer live, but Christ lives in me” (Gal. 2:20). Not only does the death and resurrection of Christ take away the guilt of sin for the believer, but it also provides power for deliverance from the old life that characterized us before we were saved. In sanctifying us, God is transforming us, so that we would live in harmony with His will. Sanctification means we are being renewed in the image of God (Rom. 8:29). We are living lives that are pleasing to God. Our sin nature is in the process of being removed. Third, Jesus prayed for future believers. Jesus did not stop at praying for Himself and His immediate disciples; His prayer went beyond them to those who would believe through their message. His concern for the church’s unity is His greatest burden as His earthly mission draws to a close. Just as the Father is active in and through the Son, so also the Son is active in and through believers. Our unity is rooted in Jesus’ own unity with the Father. The absolute oneness of the Father and Son is spiritually transferred to believers for a specific purpose—spiritual unity. This unity is so compelling, so un-worldly, that our witness as to who Jesus is becomes explainable. Unity is a means to enable the world to realize who Jesus is and what God has been doing. The marvelous message is that God sent Jesus on an important mission to the world and that He loves not only His Son, but He also loves you and I who are fulfilling that continuing mission to the world. As people sanctified by God’s truth and set apart from evil, we are to trust in God’s protection and witness for Christ. God wants us to be transformed people with renewed minds, living to honor and obey Him. God wants us to offer ourselves as living sacrifices (Rom. 12:1-2) – daily laying aside our own desires to follow Him, putting all our energy and resources at His disposal, and trusting Him to guide us. The reason God saved us is so that we would be sanctified. This entry was posted in Topical and tagged Christian, Church, Holy, Jesus, Prayer, Sanctification, Sanctify, Set Apart, Transformation, Unity. Bookmark the permalink. Sometimes it seems so easy to do this, but yet so hard to do daily. Sure, we can commit one day and then not bother the next, but because we are assured of Salvation as you spoke of last time, we have a responsiblity to daily lay aside our desires for His. I love the verse where it talks about his mercies being new every morning, It is such a wonderful God that we serve that gives us grace to come and give Him each day, one at a time. Thank you for this posting as well. It gave me even more to think about and be greatful that I am a child of God. Have a wonderful day. its okay, never had that happen before, so you have made that a first!!! 🙂 And as you have asked I will pray for you too! Sorry, but I’m not sure who you are referring to. Di you record the sermon Joe? Do you have a link for it? I would like to listen to it. Thanks, but the church has not posted my sermon on the internet yet. Fantastic post, Joe! Thank you for reminding us “As believers we are sanctified. …Our thinking and actions should be different from the worlds.” May we all continue to strive to be like Christ and carry out the Great Commission! Thanks Danielle! I apologize for not responding sooner. I just noticed your comment now. God bless! Great blessing this morning after a day of wrestling with pastoral shepherding for my husband! We’re in a battle brother, and Satan is working hard to steal way the last shred of sanctification from the bride of Christ! Praise the Lord for 1John 4:4 Ye are of God, little children, and have overcome them: because greater is he that is in you, than he that is in the world. Amen sister! I apologize for not responding sooner. I just noticed your comment now. God bless! It is a marvelous thing that our Intercessor prays for us! This is my first visit but it won’t be my last. You are an awesome teacher of God’s word!